One of the biggest kauri seed collections to be undertaken in decades is happening now across the upper North Island in an effort to identify trees that are resistant to kauri dieback. The seed collection is part of the Scion-led Healthy Trees, Heathy Future (HTHF) programme focused on researching and combating several Phytophthora species, including Phytophthora agathidicida aka kauri dieback. 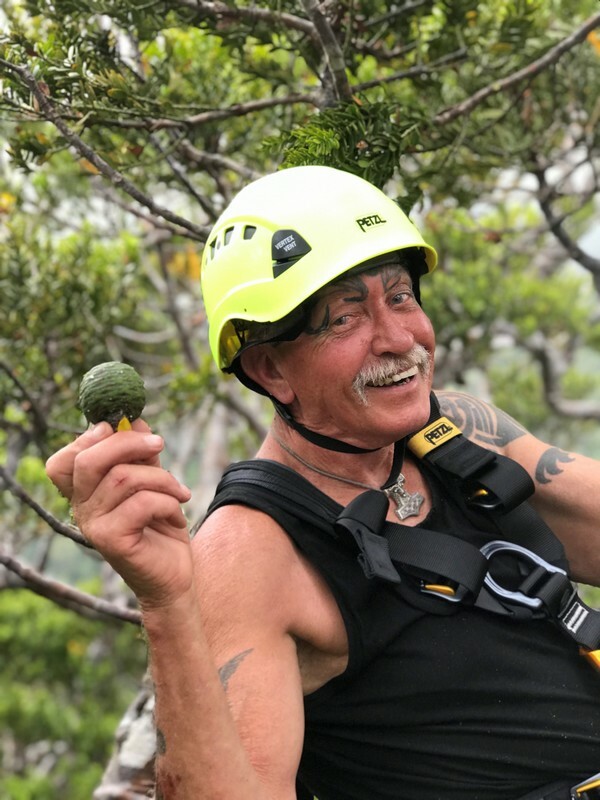 The co-ordinated collection will see 14 mana whenua groups working with researchers from Scion, Manaaki Whenua-Landcare Research and professional tree climbers from BioSense to collect seed from kauri from northern Northland to Tauranga in the eastern Bay of Plenty. Mana whenua groups involved include Omahuta, Ngamanawa Inc, Te Roroa, Te Rarawa, Patuharakeke, Tau Iho I Te Po, Te Rawhiti, Ngāti Huarere Ki Whangapoua, Te Uri o Hikihiki, Ngāti Hine, Ngāti Rehia, Te Uri O Hau, Kawerau ā Maki and others. Kauri seed is enclosed in cones that mature between February and April. Maturation is earliest in Northland and then moves south. Tree climbers use special gear to climb into the tree canopy to harvest cones. It is vital that the cones are collected while still on the tree so collectors can record which tree they came from, and collectors can go back to gather more if the specimen is identified as being resistant. Cones are then sent to Scion in Rotorua where some of the seed will be raised in a specially commissioned kauri polyhouse within the Scion nursery where strict hygiene precautions ensure it stays free of kauri dieback. Seed not used this year will be placed into a seed bank for mana whenua to use in research or restoration. This is the fourth year of seed collections in the HTHF programme and will be the biggest collection undertaken so far. The 2018 harvest focussed on collection from healthy trees in areas where dieback is known to be present. This year, the aim is to collect from 500+ trees across kauri lands to establish a resource for future research, screening and propagation programmes. When the seedlings are 15 months of age, they are sent to Manaaki Whenua-Landcare Research in Auckland where they are screened for resistance to kauri dieback. The plants are flooded with water containing Phytophthora agathidicida to encourage infection. Researchers monitor them closely to see how the disease takes hold and how long they survive after infection. The plants are also analysed to see what chemical reactions are triggered, hoping to find one that may be effective at neutralising the disease. “Although early days, it’s starting to get really exciting. The team at Manaaki Whenua-Landcare Research led by Dr Stan Bellgard and Dr Chantal Probst have started to see a range of responses to how the plants succumb to infection. 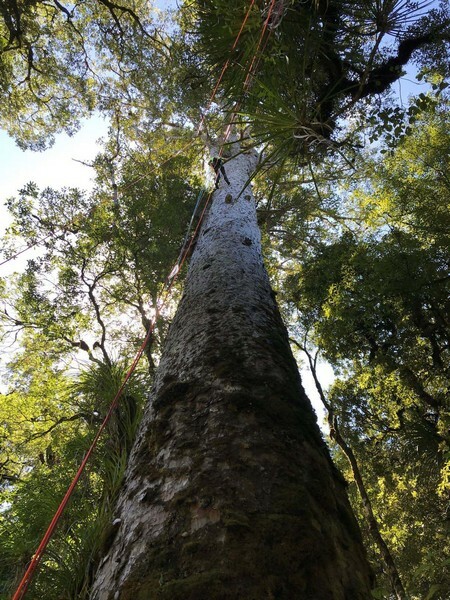 There is a big difference between understanding what happens in the glasshouse and how vulnerable trees are within the forest, but it gives us hope for the future of kauri,” says Dr Williams. The team from BioSense, led by Fredrik Hjelm, has coordinated the collection teams, mana whenua engagement, cultural safety and hygiene protocols, and the shipping of the cones. They ensured that groups collecting the cones used strict protocols to ensure no soil, water or organic matter is transferred between sites, and that cultural-safety and competency are demonstrated by all researchers at all times. Funding for the kauri stream of the HTHF programme is provided by the Ministry for Business, Innovation and Employment and the Kauri Dieback Programme. Collaborators include Massey University, Manaaki Whenua, Plant and Food Research and Auckland University of Technology. The programme wraps up in September 2019 after six successful years, but the researchers hope to continue the work in partnership with mana whenua. Further images in addition to the attached are available for download.